Fact or Fiction? 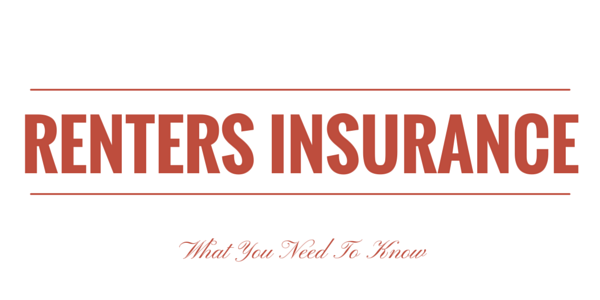 Only some renters need renters insurance. If you are currently renting your home or apartment, it’s time to learn more about renters insurance! Homeowners insurance covers the house itself and the items inside. But if you don’t own the home, you don’t need insurance to cover it. All you need is coverage for your actual personal belongings. It might not seem like a lot, but all those little items add up! When you think about the cost to replace your furniture, dishes, sheets, clothes, books, and everything else filling up your home, it’s probably a lot more than you thought. Renters insurance is an affordable way to protect what you’ve worked hard to acquire. And it’s probably a lot cheaper than you’d expect! In fact, many times the discount you receive on your auto insurance for having multiple policies can almost pay for the entire renters policy! Renters Insurance will cover personal belongings within your home as well as a limited amount of property off premises (such as items in a storage building) or your laptop when it’s in the car. It also includes important liability coverage. If you accidentally cause a fire that burns down the property, your insurance pays the landlord to replace it (protecting you from a damaging lawsuit). In fact, many landlords now require that tenants carry a certain amount of liability insurance before they approve the lease. So if you’re renting, it’s time to look at protecting your valuables. Give us a call today and ask for a no obligation quote on renters insurance. And don’t forget to find out how much you’ll save on your auto insurance too!